October is Breast Cancer Awareness month. However, many don’t know that on October 15th many cancer survivors celebrate Breast Reconstruction Awareness Day. Breast reconstruction is an option available to women who have lost one or both breasts to breast cancer. To help raise awareness that there is another step after fighting breast cancer, we have asked some of our wonderful reconstruction patients to share their cancer and reconstruction stories. 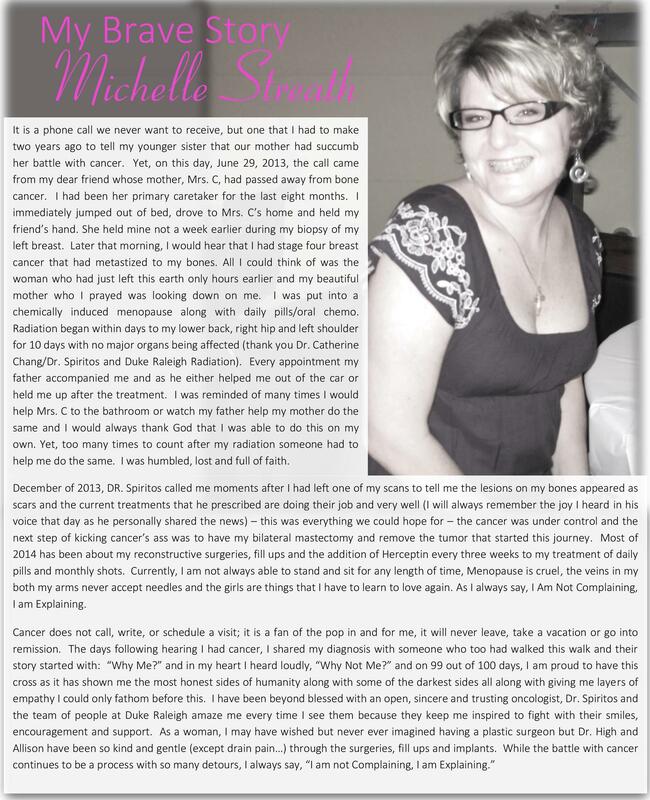 Dr. High’s patient Michelle Streath is a fun woman who has beat cancer and now uses the opportunity to explain surgery and all the little hidden things experienced in fighting cancer to the women who need to hear it most!